Cut out the festive gift tags by clicking the “Download Here” link above. Then, string them around a box of homemade treats! 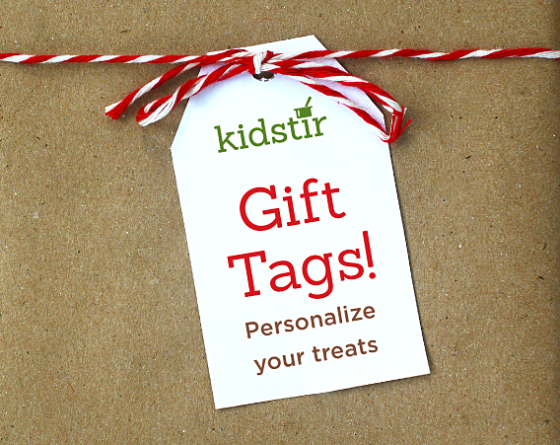 Kidstir Cooking Kits have been reviewed by dozens of respected cooking experts as a great gift for kids, including Better Homes & Gardens.